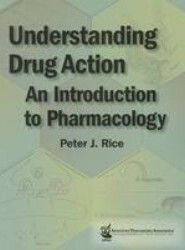 Provides a highly readable introduction to the science of pharmacology and helps readers organize the way they think about drug action. The first half of the book provides a theoretical framework for understanding drug responses and receptors. 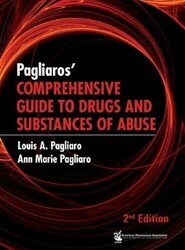 The second half provides an overview of types of drugs and their effects. 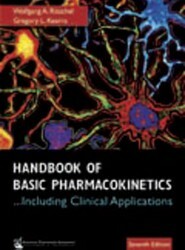 Dealing with the pharmacokinetic principles and techniques, this title includes chapters such as: Absorption/Transport Mechanisms, Physicochemical and Biological Factors Affecting In Vivo Performance of Drugs, Drug Biotransformation, Excretion and Clearance of Drugs, Pediatric Pharmacokinetics, First-Dose Size in Man, and Pharmacogenetics. Drugs and substances of abuse are used both medically and personally for their specific actions on the central nervous system by children, adolescents, and adults across North America. 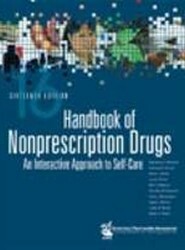 This title includes more than 100 monographs dealing with each of the major drugs and substances of abuse used in North America, ranging from acetone to zopiclone. Contains information on nonprescription drug pharmacotherapy, nutritional supplements, medical foods, nondrug and preventive measures, and complementary and alternative therapies. This title shows students and practitioners how to assess and triage a patient's health complaint. Contains information on drugs in compounded oral, enteral, topical, ophthalmic, and other specialized preparations. This book helps readers to: determine whether formulated compounds are stable for the anticipated duration of use, properly store and repackage compounded formulations, and formulate in accordance with documented standards. Helps pharmacy technicians to develop professional communication and management skills critical to the efficient operation of the pharmacy. 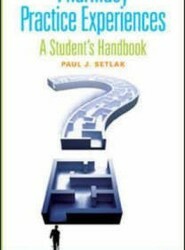 This title includes dialogues demonstrating communication techniques, problem-solving tips, and coverage of key issues affecting the profession. 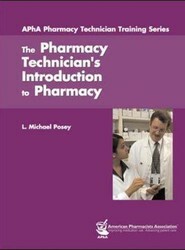 Addresses the origins of the professional of pharmacy, explores the important role technicians play in pharmacy practice, and covers current topics of importance to you. This book covers topics such as: Regulatory Issues; Ethical and Professional Standards of Practice; Career Pathways; Communication Skills; and, Membership Organizations. Offers the opportunity for pharmacists and student pharmacists to explore their own cultural background, the health care needs inherent across cultures and to effectively hone communication and competency skills needed to work effectively with patients and other health care providers from diverse cultures. Pharmacy Practice Experiences (PPEs), previously called clerkships or clinical rotations, are a vital part of pharmacy education. But stepping out of the classroom and into the real world of a pharmacy practice experience can be daunting. 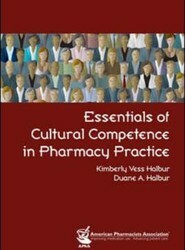 This work presents a practical resource for student pharmacists about to embark on PPEs.